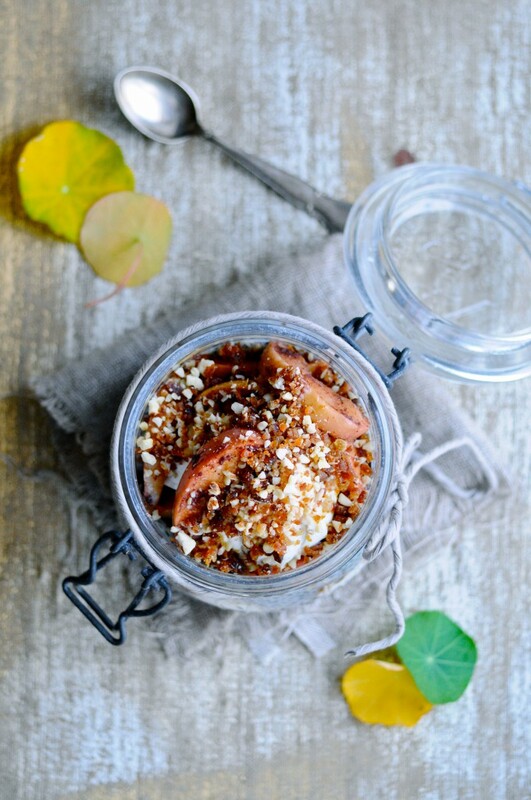 Apples are in season right now and what better way to use them then in this delicious, gluten free and refined sugar free apple trifle?! This is definitely one of my favorite dessert recipes with apple or actually even favorite breakfast recipe with apple. Because, yes, you can make this for both breakfast AND dessert without any guilt. 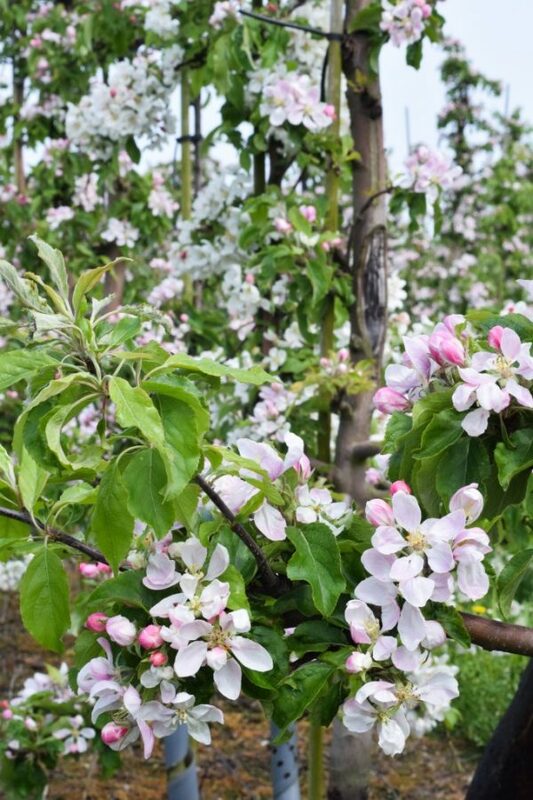 Since there are soooo many good things in this beauty that are good for your health. Coconut oil with its lauric acid that can help kill harmful microorganisms and not least give you that lovely coconut taste that we want in this apple trifle! 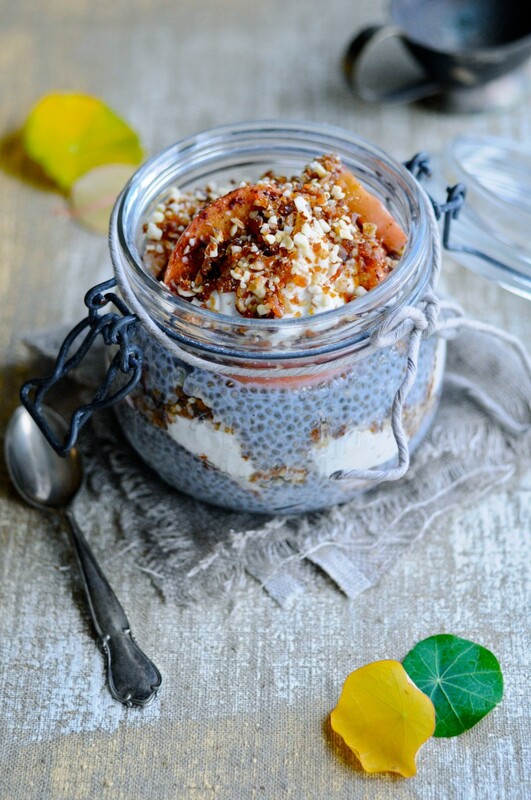 This healthy apple trifle can be enjoyed for breakfast and for dessert. It's sweet, delicious and healthy at the same time! Win win right?! The evening before or min. 6 hours before mix chia seeds with milk and agave syrup and put in the fridge. Next day. Slice the apples and mix with melted coconut oil and cinnamon. Add some agave nectar, if the apples need some extra sweetness. Place the apples on to a dish and bake the apples at 200 degrees (390 F) for about 20 minutes, until they are nice and soft. Allow the apples to cool completely. Mix the Greek yogurt with vanilla powder and agave nectar. 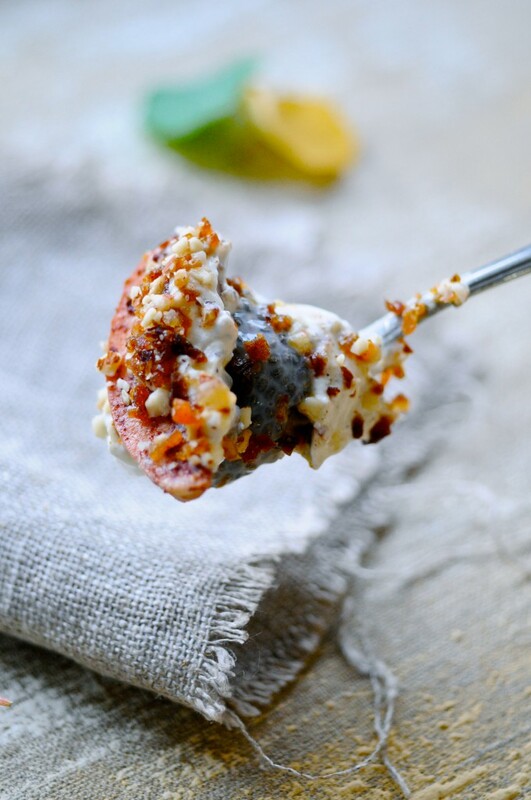 Blend almonds, apricots and dates in a food processor or blender until you have a nice crumble. Now start assembling the apple trifle in a jar. 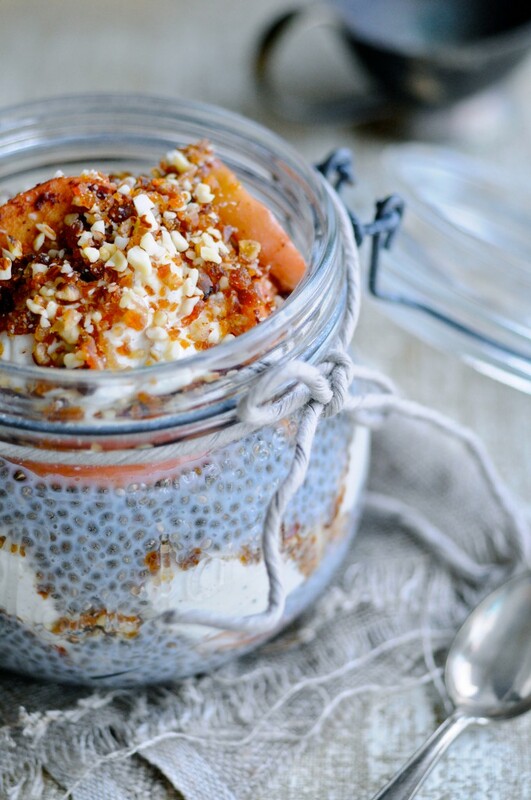 First, start out with a layer of chia seed pudding. Then cinnamon apples. Then a layer of Greek yoghurt and finish off with almond crumble. Continue until the glass is filled and continue the process with the other glass. Serve the healthy apple trifle straight away, or put it in the fridge and serve it the following day. The apples used for this apple trifle recipe are bought in my local supermarket that offers so many delicious organic products. I love my little local store. It’s actually the one supermarket in Denmark that has the highest percentage of organic products. And it’s right next to my house. Nice! So this is were, I buy most of my vegetables and dairy products. Meat, I buy online from local organic farmers. And the apples used are from a small Danish island called Fejø that I actually visited this summer, when the apples weren’t quite ready yet. But now they are indeed! 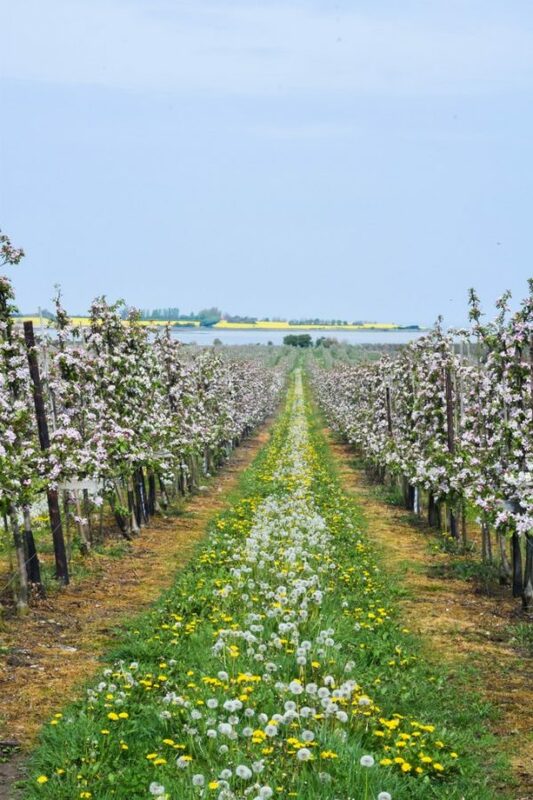 I’ll just show you some pictures from my island visit below, just because it was sooo0 pretty to wander around the apple orchards, when everything was blooming.